When a rider wants a single-reel BOA with a medium flex profile to step into any type of riding, the Stomp delivers with comfort, control and a smooth feel. Powerful enough to lay a clean carve, the Stomp is also flexible enough to grab stale and tweak it out. Our new GripRight outsole delivers advanced board feel at a reduced weight. Lower profile this year, the Stomp features our Rad F.I.T. liner for foot stability for undiluted responsiveness and comfort for extended sessions on the hill. ** DEPENDS ON BOOT/BINDING STYLE AND/OR BRAND. ROME RECOMMENDS CHECKING THE BOOT TO BINDING FIT WITH AN ADJUSTED BINDING. THIS CHART SERVES AS A GUIDELINE. 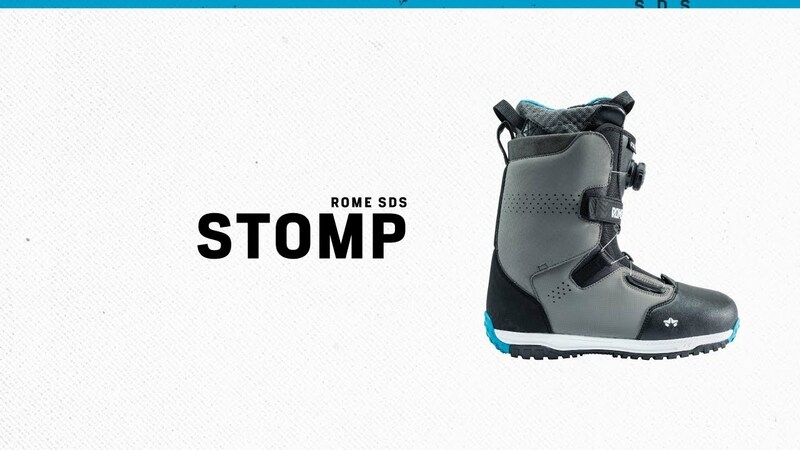 AT ROME WE BELIEVE THAT CUSTOMIZATION MATTERS - CENTER YOUR BOOT FOR THE PERFORMANCE AND FEEL THAT SNOWBOARDING DEMANDS.